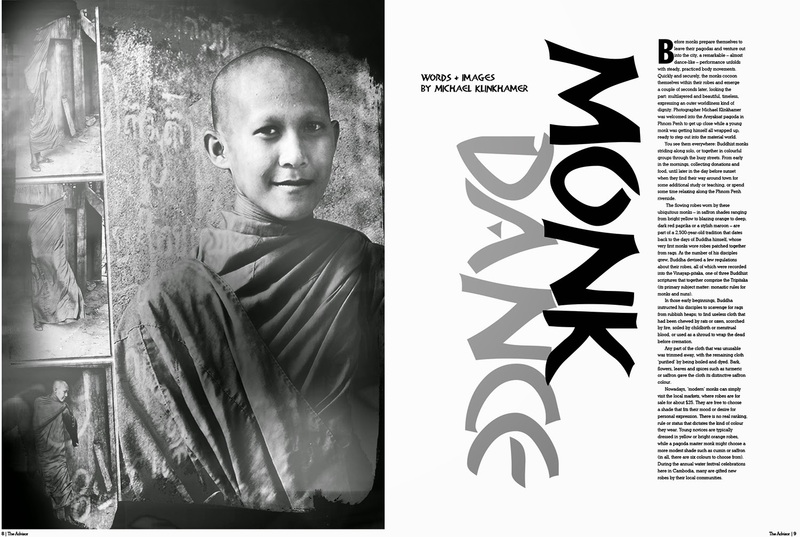 Text and Photography by Michael Klinkhamer in Cambodia. Before monks prepare themselves to leave their pagodas and venture out into the city, a remarkable – almost dance-like – performance unfolds with steady, practiced body movements. 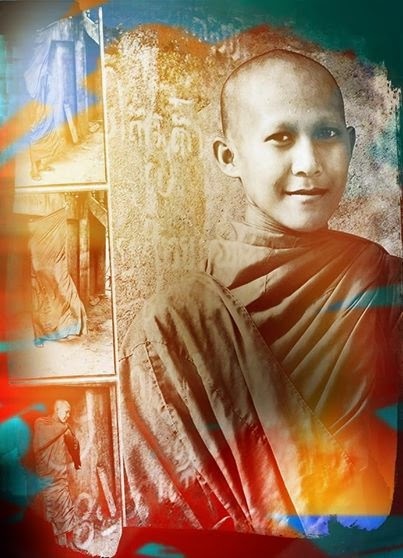 Quickly and securely, the monks cocoon themselves within their robes and emerge a couple of seconds later, looking the part: multilayered and beautiful, timeless, expressing an outer worldliness kind of dignity. Photographer Michael Klinkhamer was welcomed into the Areyaksat pagoda in Phnom Penh to get up close while a young monk was getting himself all wrapped up, ready to step out into the material world. You see them everywhere in Phnom Penh: Buddhist monks striding along solo, or together in colourful groups through the busy streets. From early in the mornings, collecting donations and food, until later in the day before sunset when they find their way around town for some additional study or teaching, or spend some time relaxing along the Phnom Penh riverside. The flowing robes worn by these ubiquitous monks – in saffron shades ranging from bright yellow to blazing orange to deep, dark red paprika or a stylish maroon – are part of a 2,500-year-old tradition that dates back to the days of Buddha himself, whose very first monks wore robes patched together from rags. As the number of his disciples grew, Buddha devised a few regulations about their robes, all of which were recorded into the Vinayap-pitaka, one of three Buddhist scriptures that together comprise the Tripitaka (its primary subject matter: monastic rules for monks and nuns). In those early beginnings, Buddha instructed his disciples to scavenge for rags from rubbish heaps; to find useless cloth that had been chewed by rats or oxen, scorched by fire, soiled by childbirth or menstrual blood, or used as a shroud to wrap the dead before cremation. Any part of the cloth that was unusable was trimmed away, with the remaining cloth ‘purified’ by being boiled and dyed. Bark, flowers, leaves and spices such as turmeric or saffron gave the cloth its distinctive saffron colour. Nowadays, ‘modern’ monks can simply visit the local markets, where robes are for sale for about $25. They are free to choose a shade that fits their mood or desire for personal expression. There is no real ranking, rule or status that dictates the kind of colour they wear. Young novices are typically dressed in yellow or bright orange robes, while a pagoda master monk might choose a more modest shade such as cumin or saffron (in all, there are six colours to choose from). During the annual water festival celebrations here in Cambodia, many are gifted new robes by their local communities. · In cold weather or strong sunshine, a sangadey – folded many times – is draped over the bare shoulder by way of protection.